Tickets are limited, pre-booking is essential. Buy ticket online from Webtickets or at participating Pick n Pay outlets. The Royal King Suite Pass, for 2 people including accommodation in a King Suite at the iconic Royal Hotel (Friday 9th and Saturday 10th August 2018, bed and breakfast), allows access to all studios, galleries and exhibitions for the duration of the weekend 8-11 August 2019, INCLUDING the official event opening COCKTAIL PARTY at the Royal Hotel and GUIDED WALKABOUTS of the studios. CONTACT US to extend your stay and get 50% off your third night’s accommodation rate! * A few select performances and events may incur an additional surcharge (see programme for specifics). 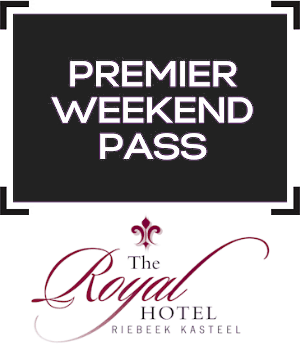 The Royal Standard Room Pass, for 2 people including accommodation in a Standard Room at the iconic Royal Hotel (Friday 9th and Saturday 10th August 2018, bed and breakfast), allows access to all studios, galleries and exhibitions for the duration of the weekend 8-11 August 2019, INCLUDING the official event opening COCKTAIL PARTY at the Royal Hotel and GUIDED WALKABOUTS of the studios. CONTACT US to extend your stay and get 50% off your third night’s accommodation rate! 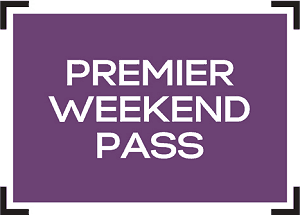 The Premier Weekend Pass allows access to all studios, galleries and exhibitions for the duration of the weekend 8-11 August 2019, INCLUDING the official event opening COCKTAIL PARTY at the Royal Hotel and GUIDED WALKABOUTS of the studios. 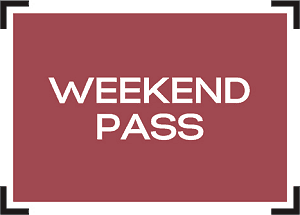 Allow access to all studios, galleries and exhibitions for the duration of the weekend, EXCLUDING the official event opening COCKTAIL PARTY at the Royal Hotel and GUIDED WALKABOUTS of the studios. Allows access to all studios, galleries and exhibitions for the duration of Friday 9 August 2019. 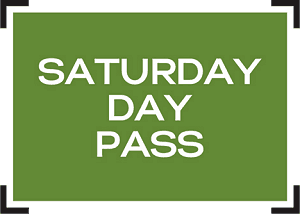 Allows access to all studios, galleries and exhibitions for the duration of Saturday 10 August 2019. Allows access to all studios, galleries and exhibitions for the duration of Sunday 11 August 2019. Buy ticket online from Webtickets or from participating Pick n Pay outlets. The 2019 event takes place over an extended long weekend, Friday 9 August being Women’s Day. Visitors are therefore encouraged to book well in advance to avoid disappointment. Accommodation for the long weekend would also need to be secured as soon as possible. Visit our preferred accommodation partner for accommodation choices: RoomsInRiebeek.co.za for online accommodation bookings in the Riebeek Valley.